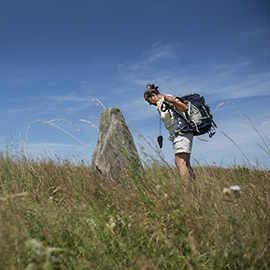 Related has worked with Hærvejen, “the Danish Camino”, since 2014 when we were chosen to develop a new brand for the legendary route up through Jutland. The brand development included comprehensive research and massive involvement from the project’s stakeholders. The result was a completely new brand concept and visual identity. Afterwards, Related was chosen to implement the brand among all the stakeholders involved in the destination through a massive communications project where we developed a comprehensive toolbox and guide, making it easy for all hotels, attractions, B&Bs, and restaurants along the route to adapt the concept and use the brand in their daily communication with tourists and visitors – making Hærvejen one unified destination. Later, we developed a national PR strategy which – through a massive press effort and over the course of just 3 months – resulted in coverage about Hærvejen in print and online media equal to an advertorial value of almost EUR 340,000.